April 1943. Chicago. 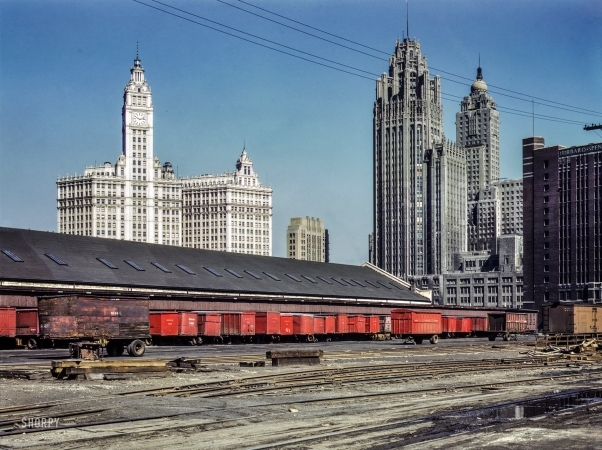 "Trucks unloading at the inbound freight house, Illinois Central Railroad, South Water Street freight terminal."